I love this poem because it is humorous, relatable for the kids, and the language doesn’t get in the way of understanding the parts of a poem. This is especially important for ELs. If the language of the poem is accessible, they are able to focus on the academic specific language of meter, stress, and rhyme scheme. They are also able to move on from basic comprehension to analysis of the text. 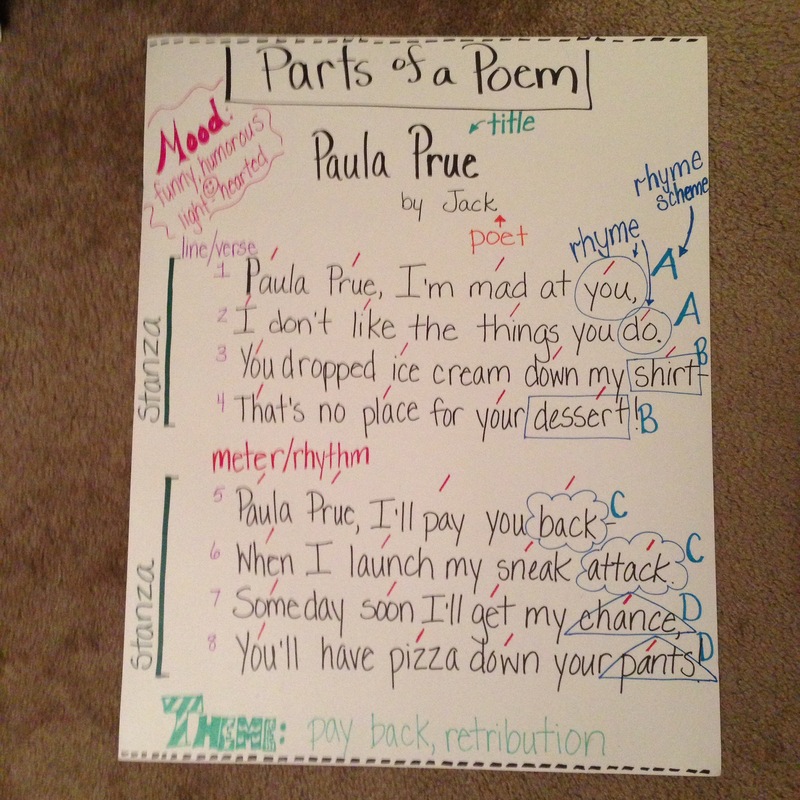 Notes: the shapes around the rhyming words are how I scaffold to teaching rhyme scheme. The different shapes belong to specific “rhyming buddies”. The students are thrn able to transfer this to lettered rhyme scheme. Posted on February 14, 2017 by Katie •	This entry was posted in School and tagged accessible language, analysis, anchor chart, ESL, parts of a poem, poem, reading, rhyme scheme, scaffold. Bookmark the permalink.